Ty Burrell and Taran Killam hit the red carpet at the Rolling Stone Live: Atlanta event on Saturday night (February 2) at the Goat Farm in Atlanta, Ga. 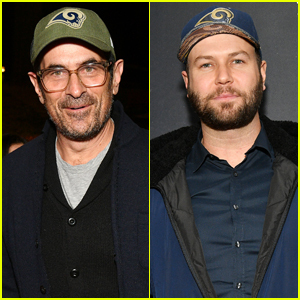 The guys both showed their support for the Los Angeles Rams by wearing baseball hats with the team’s logo on it for the Super Bowl Weekend party. Other stars at the party included CeeLo Green, Deon Cole, Kenya Moore, and Luann de Lesseps.